The Jnanpith Selection Board (JSB) on Thursday announced Oriya author Prathiba Ray’s name for the 47th Jnanpith award for 2011. At a meeting chaired by writer and Jnanpith award winner Sitakant Mahapatra, it was decided that Ray, 69, will be the winner of the 2011 Janapith Award. Born in 1943, Ray is one of the widely-read Oriya novelists and short story writers, a JSB communique said. “Her novels and stories are deeply and persuasively grounded in the great tradition of story-telling which brings characters and situations alive. She has a unique skill in developing the themes without being pretentious,” it said. Ray, who got Padma Shri in 2007, has 20 novels, 24 short stories’ collections, 10 travelogues, two poetry collections besides a number of essays to her credit. A professor by profession and a writer by choice, Pratibha Ray is one of the leading fiction writers in India and she has been involved in active research. Her writings have been translated into English, other foreign languages as also a number of other Indian languages. In her works, the woman is redefining her role and determining parameters for herself and the society in every walk of life and perhaps revolutionizing the concept of womanhood itself. 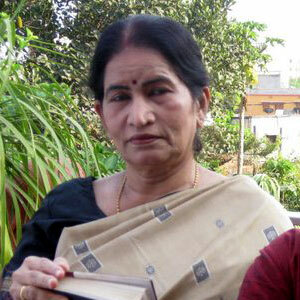 She described Odisha’s first Jnanpith awardee (1973) Gopinath Mohanty as her favourite among Odia novelists. Ray said besides Odia, she read novels in Hindi, Bengali, Assamese, English and Spanish. “I adore many writers. Hindi is like my second mother tongue,” she said. “I am happy that a Odia writer has been chosen for the Jnanpith award after a long gap. The last Odia to get the award was Sitakant Mohapatra,” she said. Pratibha Ray is the first Odia woman and fourth Odia writer to get the coveted award. Earlier Gopinath Mohanty (1973), Sachidananda Routray (1986) and Sitakant Mohapatra (1993) were conferred the honour.